I went with a railroad intro – before being swallowed by a rad storm, the party discovers a heavy metal hatch set into the ground, with a ladder leading down. Anticipating casualties, each player was allowed two characters (for a total of six PCs). Surprisingly, all six survived – and no one received any (new) mutations. For the Convention, I wanted to use the “Alternative Core Rules“. I also took a stack of Character Cards. Thank-you to all the players for gaming! I appreciate your time and enthusiasm. I’m running another convention game this year at Underground Con. Last year’s game was well-received, and I’m looking to repeat the success and generate more interest in minimalist RPGs. Underground Con is Calgary’s Premiere Grassroots Gaming Convention. 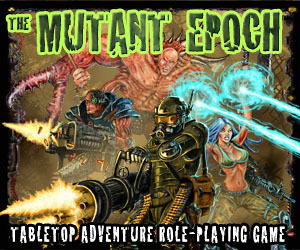 Taking place over one day, we offer a variety of board games and rpgs for those that want to try something new! This year, the Con happens on June 9, 2012 offering games in a variety of systems and keeping with favorites from last year like our Dominion Tournament. There is sure to be something for everyone! Underground Con is only $20 for a full day of games. You’re sure to find something you enjoy! I want to play in the Iron DM tournament this year, so I’ve signed up for the 10:00 a.m. session (slot 1). Come have your morning coffee in a post-apocalyptic wasteland on June 9th! In previous sessions, Steckel had previously been identified as a descendent of Paul Bachman, one of the members of Habicorb’s board of directors. 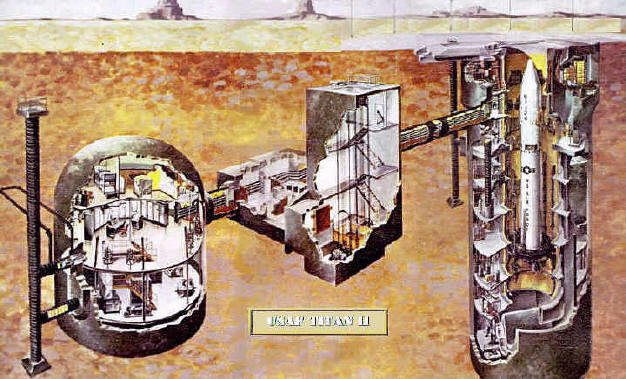 The central computer of the Eden Praire Vault Complex had agreed to let Steckel and his direct family access to the restored module known as the “Roach Motel”. The elders of Tau have condoned a slow, cautious establishment of a ‘satellite vault’ at Eden Prairie; and Steckel’s father and three siblings are to become the first four permanent ‘colonists’. UPDATE 07-Jun-11: Check out this post for Bart and Xavier. Here are stats for the currently active PCs, collected together for easy reference. UPDATE 16-May-11: Contents have been updated to reflect the outcome of the East to Eden session. Lots of TU available to outfit a new expedition! One key element of my Tempora Mutantur campaign is the ‘Tau Storeroom’. This is where PCs can exchange swag scavenged in the wastes for Experience and Trade Units. Characters can of course choose to keep any of the relics they find, but then do not receive XP or TU. Items turned over to the storeroom remain available for future expeditions, but must be repurchased – and the cost to buy back is higher than the original compensation given. In addition, characters receive reduced reward for items that are broken or not yet identified (all relics automatically identified once sold to the storeroom). I ran a tabletop session last weekend at Underground Con, with three new players – Roger, Adam, and Jon. Six brave scavengers ventured into the wastes – Buick le Sabre (enforcer), Boogatti (scout), Gunnar the Bold (scout), Professor Dogface (thinker), Jerome Lemner (thinker), and Charlie Roxx (enforcer). Fleeing from a massive rad storm, the party found shelter in an abandoned missile silo, and explored the environs therein.